EVO, a British-based publication, has given its verdict on the new Volkswagen Golf GTI Clubsport. 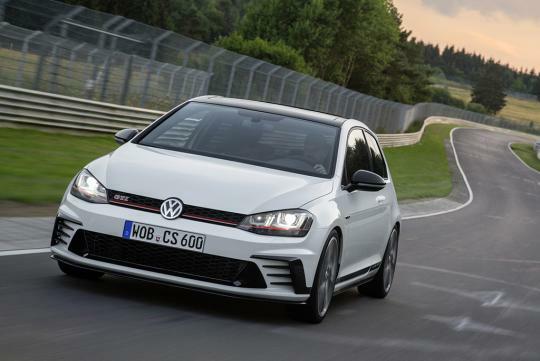 With 261bhp on tap and an overboost function that increases the power to 287bhp for up to 10 seconds in third gear onwards, the Clubsport is the fastest Golf GTI ever. Highlights of the differences between a normal GTI and the Clubsport variant include a new front bumper design and a nice little ducktail-like spoiler that help remove lift when travelling at some speed. Revised suspension setting and optional Michelin Pilot Sport Cup 2 tyres make sure the Clubsport feels more at home on the track than before. On the topic of track work, is the Clubsport better than its more powerful sibling, the Golf R? Watch the video and find out.